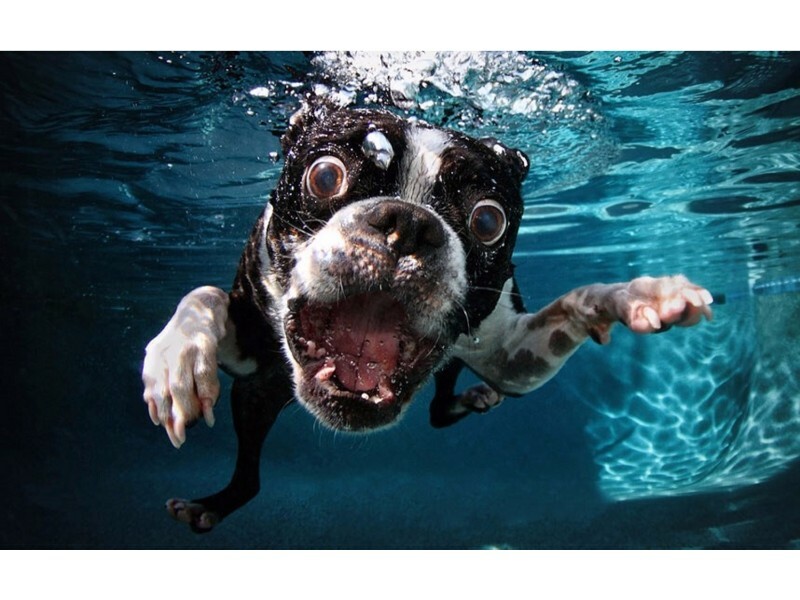 Viral photos: We’ve all seen them, and they can be supremely entertaining. Don’t be so quick to believe them, though. The world is a twisted place filled with lies, including photos that come with so-called “true stories.” How do you decide which ones to believe? For starters, check out this list of the most famous viral pics on the internet. We’re doing a deep investigation to uncover the frauds and give credit to those that are the real deal. 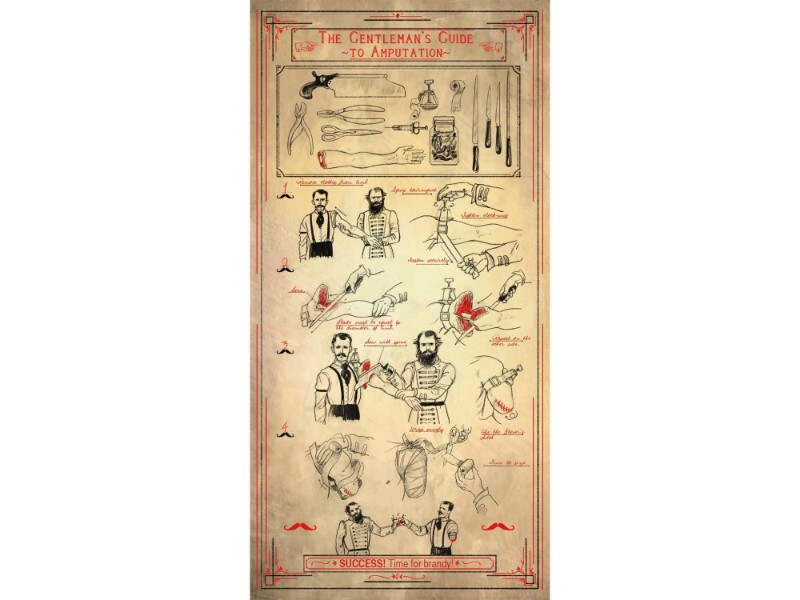 This “Gentlemen’s Guide to Amputation” hit the web and hit it hard. The image depicts an instructional pamphlet from the 1800’s dictating the necessary amputation skills you need to survive—brandy included. Is it real, though? It’s not too difficult to see this is fake, but whoever produced it certainly fooled a large portion of the internet. Yes, this is a bear falling from a tree. Actually, it’s a bear falling from a tree onto a trampoline. When this was first released, everyone thought it was fake and for good reason. Surprise, surprise: this photo is real. 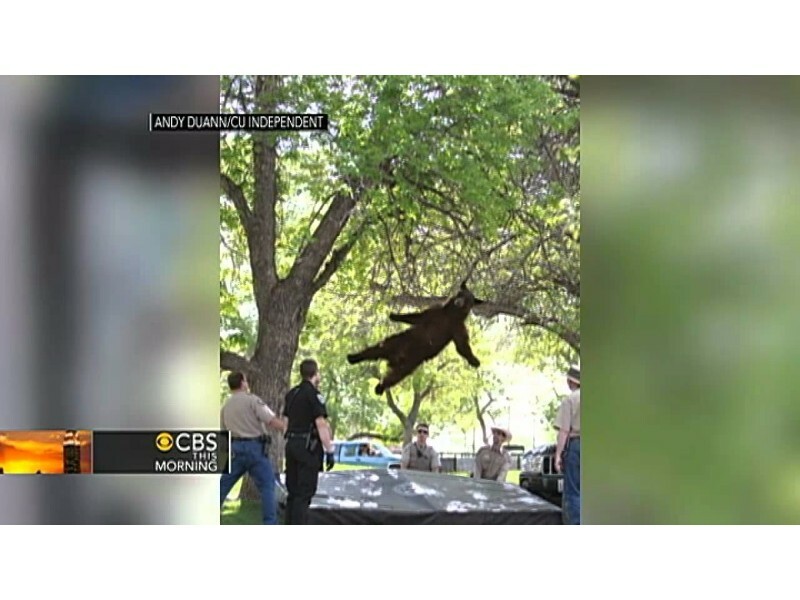 A bear wandered into a quaint suburban neighborhood and got stuck in a tree. Apparently, this was the only way to get the beast down safely. Get some tissues. Now get some more, because you might need them. 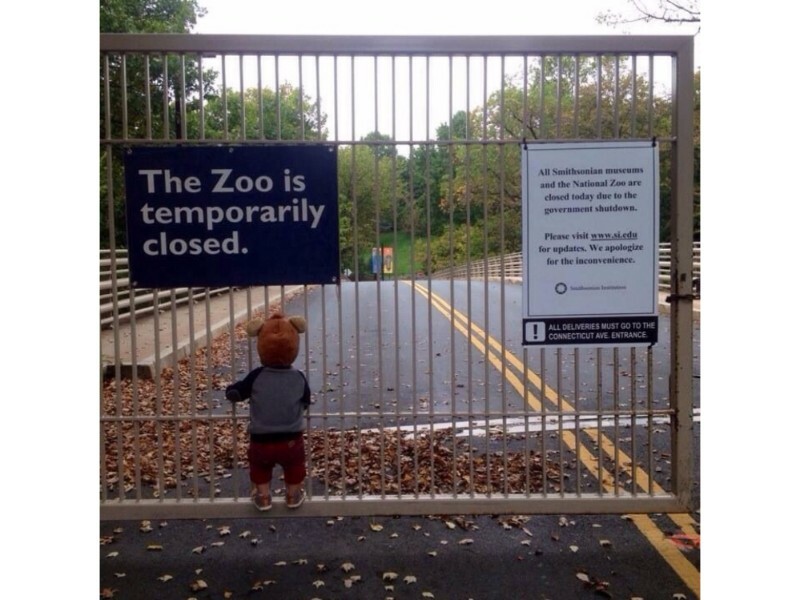 Unfortunately, this heartbreaking photo of a kid locked out of a zoo because of a government shutdown is real. You can almost feel the sadness radiating from the poor kid’s soul and see their tear drops. Thanks a lot, government. If this dog’s face doesn’t show pure happiness, then what the heck does? Many skeptics out there thought this photo was fraudulent but those people are wrong. The happiness here is completely real. Let’s give some props to the photographer here also because this is an instant classic. This picture symbolizes everything wrong with America, right? Don’t get too worked up just yet. This picture is just a clever Photoshop job. 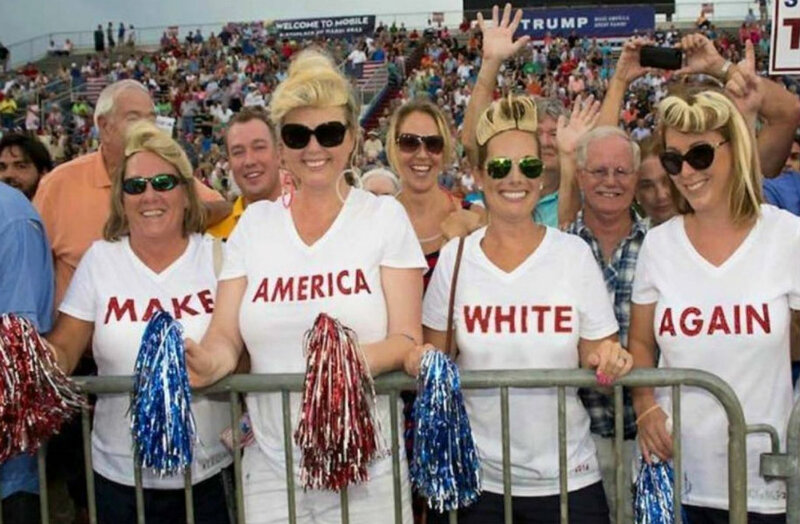 In reality, the shirts were supposed to read “make America great again.” You can figure out which word somebody mischievously edited for yourself. Thank you so much for not being real.